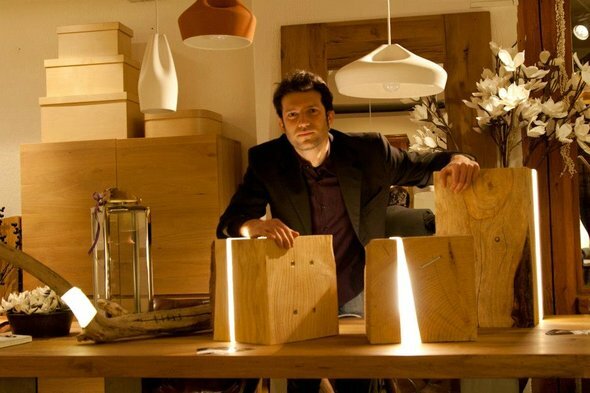 Italian designer Marco Stefanelli discovered a most interesting way of creating a serene mood in any space. 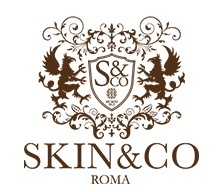 Combining natural elements into art and light, perfectly blends unique creations of functional beauty. 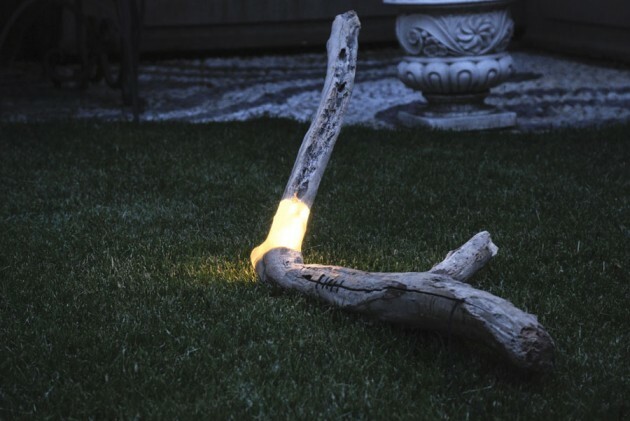 Marco takes objects which have reached the end of their life cycle, usually scrap wood from a sawmill, or even firewood and logs carried by the river, and combines them with cast resin embedded with LEDs. 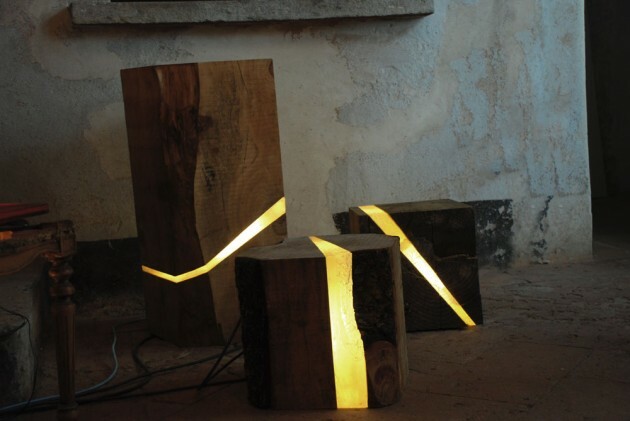 The Brecce Collection is composed of wooden trunks and branches split to reveal lights. This creative way of re-imagining this natural resource has recycling at its core. The ornamental lights accentuate this breach in the wood, making trunks look like hollow on the inside, filled only with light. These artistic creations remind us of the wonderful results of collaborating with nature and trying to use as much creativity when it comes to salvaged wooden pieces. 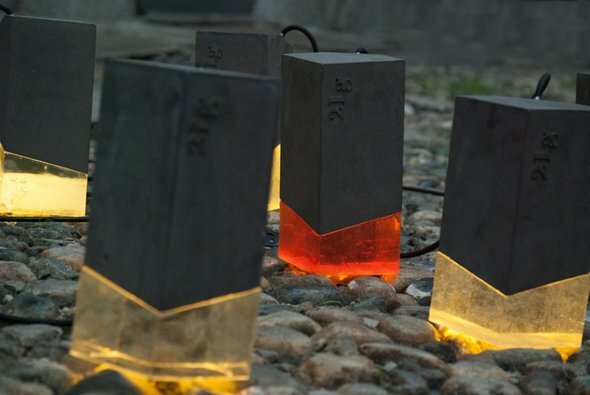 His creations are not limited to wood… but also stone and other natural elements as well as concrete — such as the 21g Concrete Light. 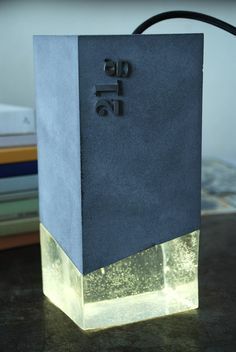 A lamp made of resin and concrete.